The RG Grapevine Acropora at first appears similar to a Pearlberry, but this spectacular coral has a couple of additional exotic qualities. Polyps are solid bright pink with some red pigmentation in the center and base areas of polyp. 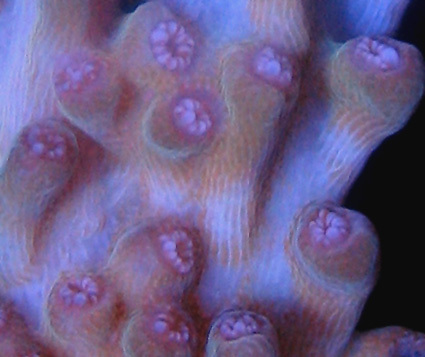 In addition to these pink polyps, the corallites can also grow into elongated and curved tubular growths. Branch stems also develop the typical Pearlberry turquoise blue coloration. 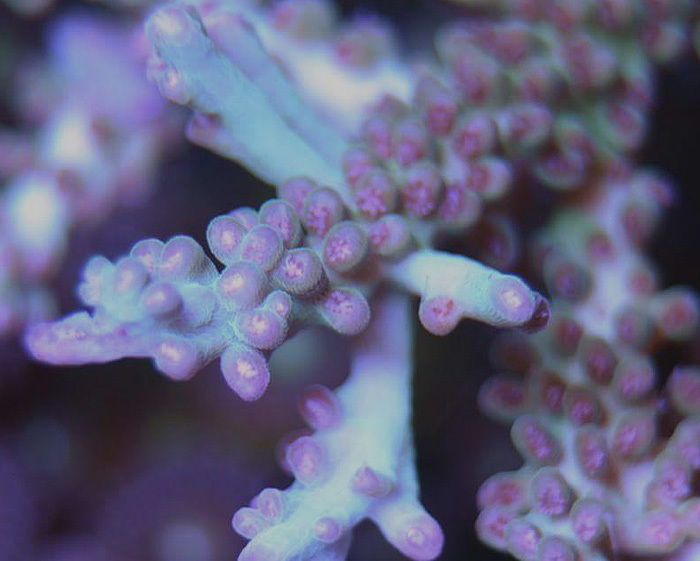 Justin Leoni of Reef Grow acquired the original RG Grapevine Acropora on October 1st of 2013 directly from Pacific Aqua Farms in Los Angeles. Originally the coral was brown, but slowly developed the unique turquoise branch stem pigmentation and the pink colored polyps. The coral was named by Justin at Reef Grow. Reeffarmers is maintaining a seed section of this coral in a 8 foot Raceway Gyre BiZonal system. This system is naturally filtered with a semi-cryptic zone and a reef flat exposed zone. In this captive reef the coral is positioned to receive moderate light and moderate to weak water current. 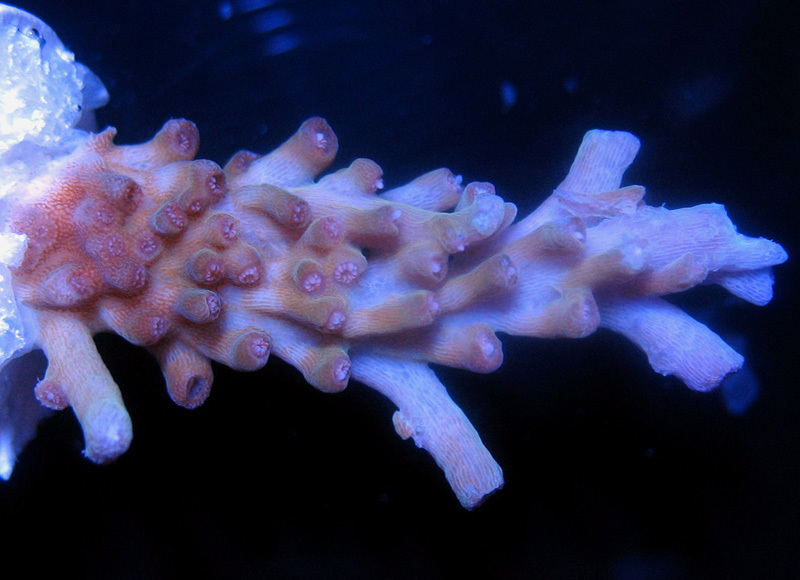 The first edition fragment of this coral was sold on our Buy It Now Web Page. Recommended list price on May 28th 2015 was $145 for a medium sized fragment.